Scampton, Lincolnshire, UK, they are soon to move to RAF Waddington. unofficial teams that had been sponsored by RAF commands. Arrows have performed over 4,000 displays worldwide in 53 countries. The Red Arrows are widely regarded as one of the best aerial aerobatics team in the world. 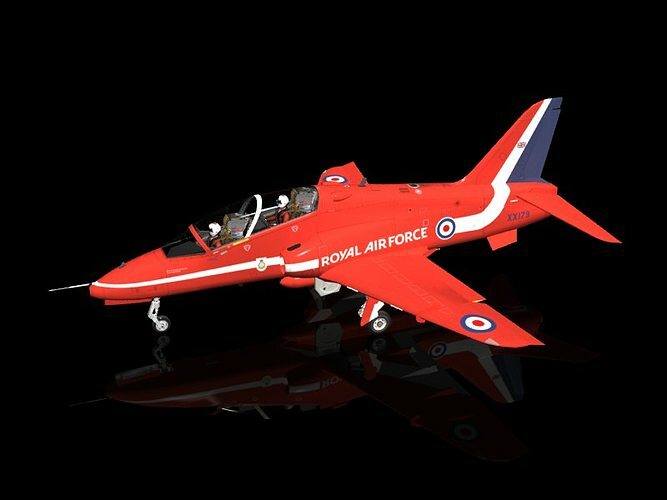 This model is an accurate replica of the Red Arrows Hawk T1. famous aircraft, maybe you should do the blue angels?